Cape Town is a world renowned long haul tourist destination. From the humble Dutch colony which was started to supply sailors with fresh food Cape Town has evolved into South Africa’s mother city. It has a wide variety of recreational activities to choose from. All the options below can be taken individually or in a group to suit our client. Nothing really beats a drive along the coast especially when the coastal road is as beautiful as the one we have. You will experience breathtaking vistas of both mountain and sea. You can take a swim, sink your feet into the sand, take a stroll, visit a pub or a restaurant and take in the view. The Cape is famous for its wines which were first successfully made by French colonists known as the French Huguenots. Wine estate are plentiful and offer great tastings and outstanding cuisine for the discerning palate. Many of the estates are old colonial affairs and steeped in history. Cape Town, the mother city of South Africa, was established by Dutch VOC (Dutch East India Company) governor, Jan Van Riebeeck in 1652. So started the rich history of European settlement in Southern Africa. Allow us to guide you through the various stages of development of the Cape Colony to modern day South Africa. There are many monuments and relics from our historical past still to be seen. The most important being the 'Kasteel de Goede Hoop' which was built by Van Riebeeck and is still operational today. The are signal guns, lookout posts and gun emplacements dating from way back doted all over the peninsula. We can even show you early Dutch pre-occupation with reclaiming land from the sea. This is a day trip and can be booked separately or together with any of our other exciting tours. 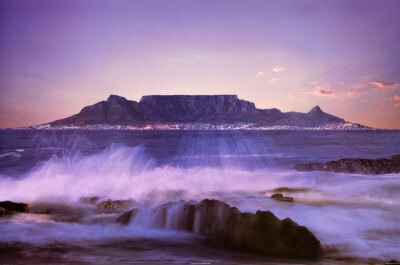 Cape Town has a number of mountains with the most famous being Table Mountain which stands over the city centre. It also has a modern cable car or can be hiked by the more energetic of folk. The Hottentot-Holland mountains are the mountains on which J. R. R. Tolkein based his ‘Lord of the Rings’ trilogy. The V&A Waterfront is the hub of tourism in South Africa with millions of tourists visiting here every year. It offers a wide variety of hotels, shops, restaurants, museums, an oceanarium and many other activities. It was based on the San Fransisco waterfront but has developed a character of its own. For the serious birder let us take you on a birding excursion into the southern oceans to follow the fishing boats where you will get to see a myriad of sea birds that seldom come ashore.